Neurologist | Heraklion Crete | Perisinaki Stella, Neurologist in Heraklion, former Doctor of Aiginitis Hospital in Athens. Electromyography, Electroencephalography and others.. The doctors’s office is located on the 3rd floor. 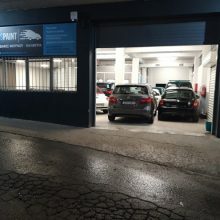 Paint Car Shop | Agios Stefanos Attica | Vlachos Paint, Agios Stefanos Car Paint Shop “VLACHOS PAINT”. Our long-lasting experience in car paints guarantees you a perfect result for your car..and more!!! Services: Repairs of smash cars, Shine car, Lightning out of lanterns, Body Shop, Furnace dyes. 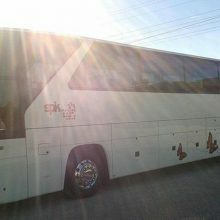 We have the knowledge and experience to offer you the best services at the best prices .. !!! 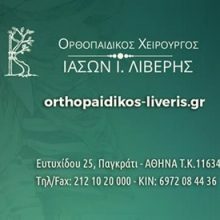 Orthopedic | Pagrati Athens | Liveris I. Jasson, Orthopedic Surgeon specialized in spine surgery. Engagement with spine surgery since 2003 with extensive experience in a wide range of cases both classical and minimally invasive techniques. Long-term experience in surgical treatment: Bone and transient infections, Oncological surgery of the musculoskeletal system, Arthroplasty revisions, Correction of adult axes and fractures, Traumatic spine fractures, Osteoporotic fractures in the elderly. He is one of the earliest collaborators of the Athens Spinal Surgery Brain & Spine Surgery pioneer of minimally invasive techniques in spine surgery with worldwide recognition. Member of the World Spinal Column Society.Keeping the honest care for your problem, we try to offer a range of solutions that concern you. Hotel | Nafplio Argolida | Ilion Suites Hotel, How many times have you given the opportunity to be hosted in a prestigious building that was built a few centuries ago? 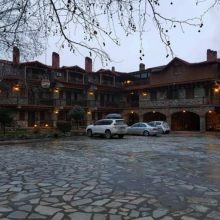 The Ilion Traditional Hotel is a unique case. It was built in 1620 and was home to many important people of the city. 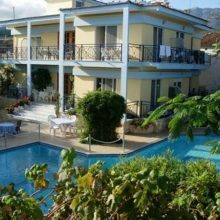 Externally it has all the characteristics of the mansions of the time occupying a privileged position in the city center of the old Nafplio. 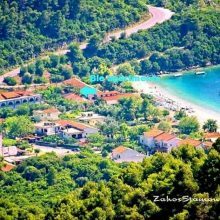 Rooms: Standard Double Room, Double Deluxe Room, Budjet Double Room, Triple Room, Junior Suite, Suite, Budget Single Room. Facilities: Air conditioning, Telephone, Wifi, Bathroom, Satellite TVBalcony – terrace (some of the rooms). 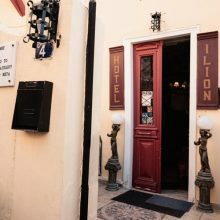 In Nafplio you can find noumerous hotels but the one that really stands out among the many Nafplio Hotels is Ilion Traditional Hotel. 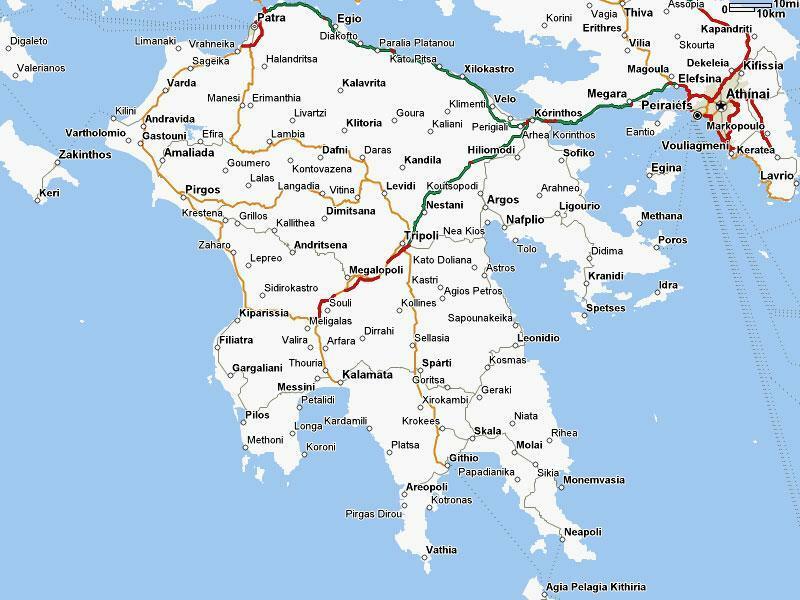 Near to many famous Greek sites, the hotel offers the possibility for a relaxing holiday in a beautiful landscape, as well as the chance to explore Greek history. 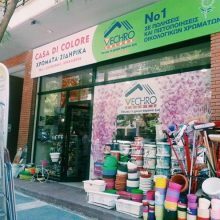 Color Shop | Thessaloniki | Casa di Colore, Caza Di Colore – Love for … Color! Our company is actively involved in the wholesale and retail sale of decorative – insulating paints, varnishes and painting tools, offering an unrivaled relationship of price – quality. 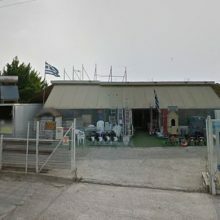 Our philosophy is based on three fundamental principles: Qualified and friendly service by qualified staff, A wide range of quality products coming from the best companies, Free and immediate delivery of products to the desired area. Our company, through its experienced and collaborative human resources, focuses its attention on both needs of both Professionals and Individuals by offering high quality products at the best prices ever aiming at the full satisfaction of our customers. In the context of developing relationships of trust with its clients, it offers you specialized garages that you can meet your needs in tasks such as: Renovations of buildings, Tile laying work, Plumbing. Our goal is to maintain and strengthen our position in our wider market of business with a view to we offer our customers the best quality products and services at the most competitive prices. 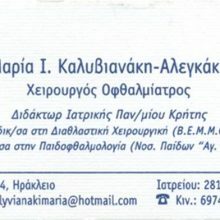 Ophthalmologist | Heraclion Crete | Kalivianaki Maria, Surgeon ophthalmologist, Ph.D. of the University of Crete. Full ophthalmologic control, Pediatric ophthalmology, Refractive surgery, Bottom diseases, Specialist in Refractive Surgery (BEMM). Graduate in Pediatric Ophthalmology (Children’s Hospital of Saint Sophia). 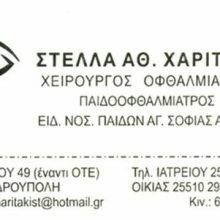 Ophthalmologist | Alexandroupoli | Xaritaki Stella, Surgeon Ophthalmologist – Child Ophthalmologist. Complaints with the Army. Specialization at the Saint Sophia Hospital in Athens. Microbiological Laboratory | Kato Toumpa Thessaloniki | Microbiologist Trikaliotis Konstantinos, At the “DIAGNOSIS LAB” Microbiology Laboratory in Thessaloniki, the full range of biopathological analyzes, led by the physician – biopathologist – physicist – Konstantinos Trikaliotis, with the aim of providing high quality primary health care services, with a human focus. 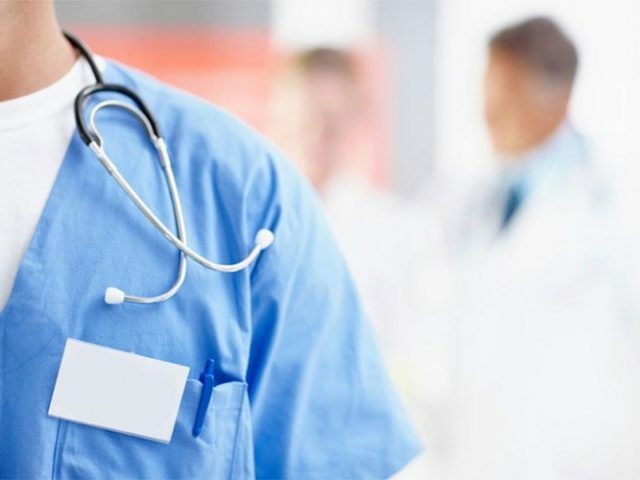 SERVICES: Hematology Department, Immunology Department, Biochemical Department, Thrombophilia Test, Medicine Levels, Hormonal Department, Postnatal Control, Coating section, Holistic Medicine. The Doctor Konstantinos Trikaliotis holds titles in the following specializations: Medical Biopathology, PhysicopathyIridology, Holistic Herbal Therapy, Flower remedies-Bach’s, Medical Acupuncture, Holistic Nutrition, Medical Bio-coordination WE ARE HERE FOR YOU: The clinic also undertakes external bleeding by trying to serve those in need. We also work with a nursing unit to help with difficult incidents. In urgent cases, the results can be given immediately. 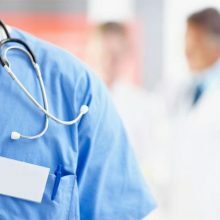 Pathologist Cardiologist Hypertensionist | Pylaia Thessaloniki | Kirlankitsi Syrmo, Contract with EOPYY (insure healthcare system) as a internist, Specialist Pathologist, Cardiologist, Hypertensiologist, Curator of Pathological B’ Clinical Hospital of Thessaloniki IKA. Representative of POSEIPKA and PIS. 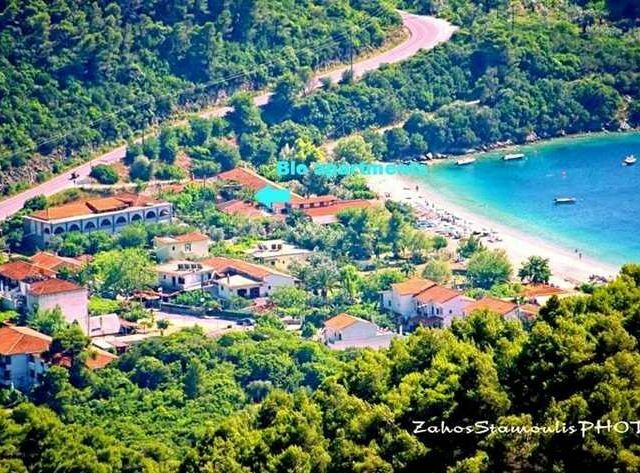 Hotel | Thassos Kavala | Hotel Georgios, Our hotel opened its doors in 1986 and since then it has been offering warm hospitality to its guests. Renovated in 2016, it acquired a more modern environment and a relaxed mood. The “Hotel Georgios” has a magnificent courtyard, away from the bustle of the street. 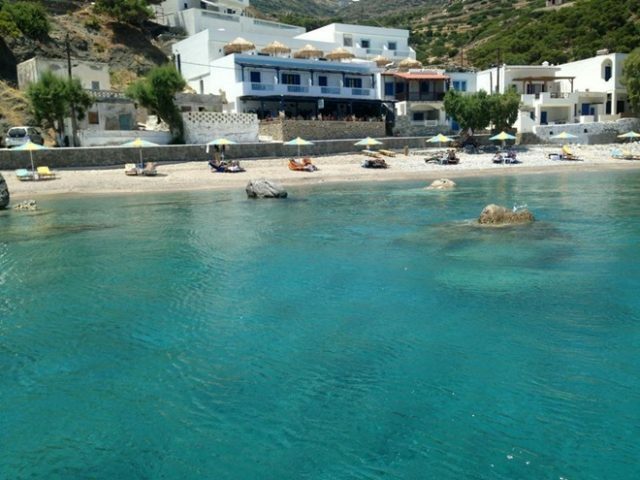 You can also relax in our luxurious pool with a cool summer drink or refreshment from our beautiful bar. Our Hotel has 12 fully equipped double rooms, which can accommodate a third person or a child. Facilities: Refrigerator, Air conditioning, TV, Private balcony, Wifi, Hair dryer All our rooms are single and have a private bathroom and balcony. They become double or triple by adding extra beds. Full services of our hotel are provided to all rooms. Microbiological Laboratory | Kiato Corinthias | Microbiologist Papakyriakopoulos Nikolaos, Medical Diagnostic Center – Microbiological Laboratory. Microbiological Laboratory, Hematology, Biochemical, Microbiological, Immune, Hormonal test, Fertility test, Insuficiency Test Obesity Control Blood sampling at home. 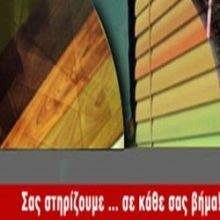 Endocrinologist | Larisa | Rizoulis Andreas Phd University Thessaly, Endocrinologist – Diabetologist. 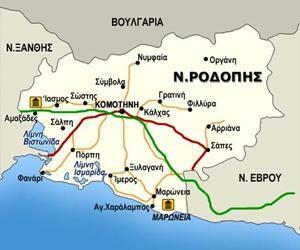 Doctor(Phd) in University of Thessaly. Osteoporosis, Thyroid Diseases, Diabetes Disease, Diabetes Pregnancy, Menstrual Disorders, Ultrasound Laboratory Directed Biopsy, Endocrine, hormonal disorders The endocrinologist Andreas Rizoulis accepts with appointment. 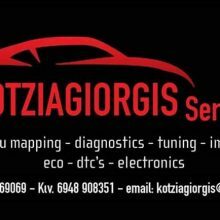 Car Service | Doxato Drama | Kotziagiorgis service RemapTronic Ecu, Service, Ecu Programming, Immobilaser, DPF, ERG, NOX, AIRBAG, Car Ecu Upgrading (tuning), setting dial. Services we offer: Troubleshooting: DPF, EGR, ECU Upgrade, Stage 1, 2, 3, economy, Reduce consumption to 10%, Reliability, Programming – Brain Repair, Immobilizer, NOX OFF, ECU synchronization in (used or new), Diagnostic – Troubleshooting AIRBAG (crash data clear) after collision For information contact us. Reception – Ships everywhere.